Only the child's first name is revealed. No personal data or contact information is given on the website. When transactions may involve data on the scout or on customers, it is encrypted. Lessons on cyberbullying and dealing with strangers online are provided. A special pledge is taken that concerns online safety. Although Girl Scouts aren't required to use social media to engage with customers, it is advantageous for scouts to promote their efforts through social networks. Social media provides a place where kids and tweens can access their already-built network of friends, family and community members. 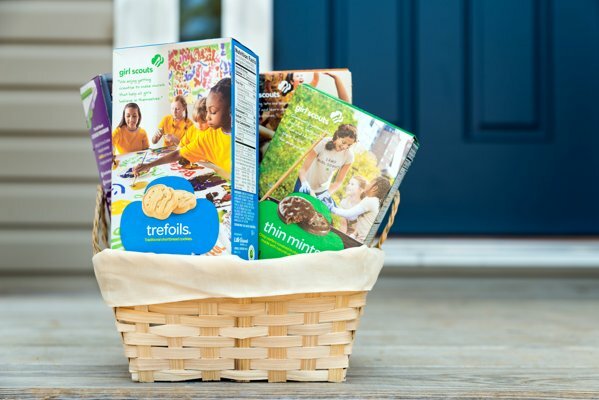 Promoting their own personal Girl Scout cookie campaigns through social networks seems like a natural next-step for scouts to maximize the scope of potential customers. The bottom line is that some 2.3 million girl scouts nationwide, many as young as 13, may enter the online scene at younger ages than they may have otherwise. Digitizing the girl scout cookie business will likely encourage scouts to get started on social networks like Facebook and Twitter. Social media in itself holds a number of digital risks for kids and tweens. Kids' customized websites are not reviewed by the Girl Scouts for content; that is left up to parents. There is no continuous monitoring of account activities. That is, the websites will be unsupervised. Hackers tend to target the relatively low-tech defenses of non-profit organizations such as the Girl Scouts. No one cares more about your kids than you do, so it only makes sense for you to take a few Internet safety steps to ensure the safety of your children during their online activities. A great solution to the dilemma is to use a service such as uKnowKids. Through the service, you can keep tabs on what your child is doing online. With uKnowMobile, uKnowKids' helpful app, you can monitor all social media postings and interactions. The service can help parents keep an eye on the transactions and personal promotions taking place. uKnowKids helps parents to be in-the-know regarding any distant connection or stranger who is responding to a sale. The service can help parents ensure that kids who are new to social media aren't oversharing personal information while promoting their sales. The concerned staff at uKnowKids also offers a host of helpful digital parenting resources, including a digital parenting blog, to assist you in establishing Internet safety parameters for your kids. Be careful what you post online; the world will soon know about it! If you have a Girl Scout cookie website, be wary of large cookie orders, which also involve a request for extensive communications. Only chat in chat-rooms designed for kids and that have a trustworthy moderator. Monitor chat room activity extensively. Use easy-to-remember, hard-to-guess passwords, and change them often. Disable location-revealing features on Facebook's messenger app and on certain other apps. Use a K9 browser or other technique to block adult content. Never meet up or engage with strangers that you have met online. These digital parenting techniques are essential in our modern world. The Girl Scouts' new online sales initiative will make it even more crucial for parents to be aware of what their daughters are doing online and to set up wise Internet safety boundaries for them.